This International Women’s Day 2017 the campaign theme is #BeBoldForChange – a call for us to forge a better, gender inclusive working world. 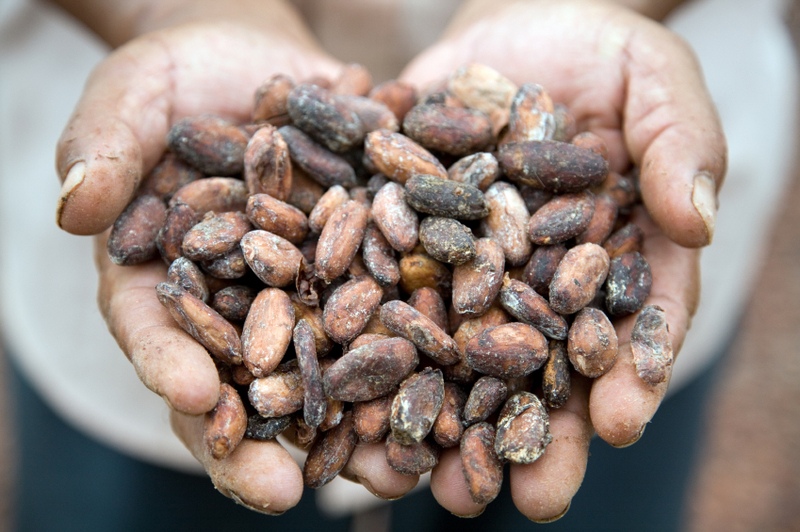 The Global Development Institute’s Professor Stephanie Barrientos has been researching the sustainability of global value chains including cocoa, fresh vegetables, fruit, flowers and garments for over 15 years. Her research played a positive role in addressing global inequalities and supporting initiatives to empower women workers. Some of her recommendations were used as the basis for the Cadbury Cocoa Partnership which later evolved into today’s Cocoa Life scheme. So why are we looking at Stephanie’s work on International Women’s Day 2017? At lower value chain tiers many workers’s incomes are below a living wage. Women workers often experience verbal and sexual harassment from male supervisors. Downward pressure on costs and increased requirements for flexibility placed on suppliers reinforces precarious working practices. Research has shown paid work in global value chains increases women’s economic independence and voice. However, proactive strategies are needed to promote greater gender equality and women’s economic empowerment. Recently Stephanie gave presentations at SOAS University of London and University of Warwick on ‘Retail Shift: Transforming Work and Gender in Global Value Chains’. She advanced a gendered analysis of global (re)production networks (GrPNs), drawing on global value chain analysis, labour geographies and feminist political economy. Drawing on case studies on women’s work in cocoa, fruit, flowers and garments, her research shows outcomes for women can be mixed. Those caught in ‘low road’ cheap labour value chains experience poor conditions and low wages. Those engaged in ‘high road’ value chains requiring greater skill and productivity are more likely to enjoy better conditions and rights. Stephanie’s research provides insights into social upgrading and downgrading (better or worse conditions and rights), and how these play out for different workers. It examines to what extent engaging in global value chains reinforces gender inequalities or opens up channels for promoting gender equality and women’s economic empowerment. Civil society campaigns can help to leverage improvements in working conditions and gender equality. This occurred in the Kenyan flower industry over the past decade. Company moves to increase quality and productivity, and rising concerns over the future resilience of their supply chains can help drive improvements. This is now occurring in cocoa-chocolate value chains following industry predictions of a million ton cocoa shortage by 2020. Government regulation needs to be more proactive in ensuring better labour conditions and rights for all workers (permanent and casual). This must include ensuring workers earn a living wage and smallholder farmers a living income. In conclusion Stephanie argues that changing retail procurement practices and changing patterns of consumption in developed and emerging economies are transforming gendered patterns of work. Downward pressure on costs, quality standards, civil society campaigns and increased requirements for skilled labour are resulting in complex gender dynamics. Effective governance and proactive strategies by all actors (public, private and social), is critical to promoting greater gender equality in global retail value chains and supporting women’s economic empowerment.